We've vacationed at beaches all over the world. 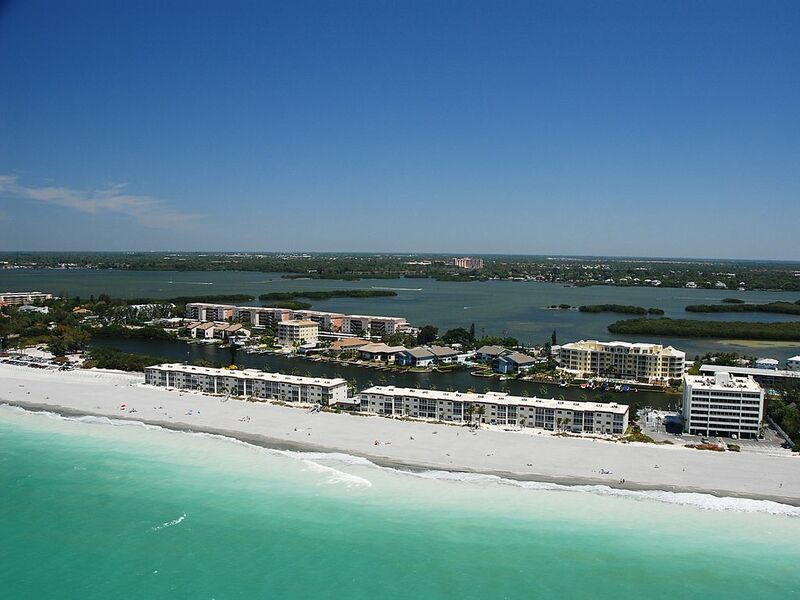 When we visited Siesta Key it was love at first sight. We bought our first vacation home on Siesta Key in 1998. My husband and I spent Christmas week at this lovely property. The unit had a few small issues, but overall it was a lovely place to stay and we would rent it again. The kitchen was definitely one of the best stocked kitchens in all the rental places we've stayed in. The bed we slept in was very comfortable and the bathrooms were nicely decorated (as was the whole unit). We spent so much time out on the lanai. It was the perfect spot for watching the sunsets and having a glass of wine! Probably the two major issues for us were the front door and the windows in the lanai and guest bedroom. The door may be ready for a new lock. Every time we left the condo, we would have a hard time getting the key to work in the lock to get back in. Also, we were only able to get one sliding door on the lanai to work. Don't know if this is from the salt air or something else. It was not a deal breaker, but it would have been nice to have some of the other windows open. The master bathroom door could use some repainting or replacing; again not a deal breaker. What was really magical was the beach! Even though there appeared to be lots of people at the complex, the beach almost seemed deserted most days. We would take long walks going south down the beach and would run into less than 10 people most days. On one particular walking day, I had the beach all to myself for almost two hours. It was very special! We would go into Siesta Key Village for dinner most nights and we were thankful that we weren't staying up that way. Way too many people! So if you're looking for a quiet little piece of paradise, definitely rent this unit!! This is a 5 star review so "thank you! However, not sure it's my unit. All of our units have electronic key pads. No key would have been used to lock the door. Everything you need is here and the place was great. The beach is not crowded and sea shells are everywhere. Absolutely amazing place to stay!!! This was by far one of our best vacations we have ever take. Honestly we couldn't have been anymore pleased. When we first got there the bay looked beautiful but once we got up to our room and opened the door.... everyone's jaws dropped down to their knees. The view was breathtaking and the gulf water was the bluest I have ever seen anywhere in Florida. Our room came equipped with literally everything we needed for our week stay. The kitchen has everything. Just like your kitchen at home. Pots, pans, plates, bowls, cups, etc. The room came with extra beach umbrellas, beach chairs and if you're a fisherman, even a bait bucket and sand flea basket. I went out and set up a little budget fishing rod for the surf. Fishing is fantastic as well. The beach and the pool are also incredible. The beach is super close and its beautiful and clean. The sand was very nice and soft. Could sit there all day. The pool was heated and a decent size. Not the biggest but enough for the kids. The palms tree next to the building actually have coconut hanging on them and I managed to get a few and they tasted great. If you ever wanted to grill something up, there were grills right on the other side next to bay. Not too far you can also rent kayaks for the little trip into the mangroves. I only had one complaint and that would be the ac filter. I think it hasn't been changed in while it other than that it's an absolutely fantastic place to go. I will definitely be going back. We very much appreciate the review! A wonderful stay at Fisherman's Cove Unit 311-B. Unit is updated and beautiful, pictures on web site are exactly how the unit is. Well maintained and clean, has everything you could possibility want, even a washer & dryer, which came in very handy. Beautiful views of beach and Gulf from Lanai and master bedroom, and also nice view from back overlooking boast docks and Roberts Bay. Take the elevator down, turn left, walk about 100 yards and your on the beach! What could be better than that!. On the quiet end of siesta Key which we liked, but 3 restaurants within walking distance. Also next to Condo complex you can rent kayaks, paddle boards, and small boats and explore Roberts Bay and beyond. Being on the third floor you have amazing views up and down the beach and watching the sunset from the lanai is spectacular. We used our own beach chairs But there is plenty of beach equipment including fishing poles. Thanks for taking the time to leave a review. We're delighted that you enjoyed your stay with us and hope to have you back again in the future. We were so pleased with our stay. First of all the view is amazing. The furniture is comfortable to sit on. We sat every night in the sun room and watched the sunset and thunderstorms. The beach is perfect for shell hunting and turtle spotting and is steps from the condo building. The beds were comfortable and there were plenty of pillows. There was an air mattress that we didn't use and a pack and play that we did. There were lots of beach toys and chairs and an umbrella. The beach chairs are not the cheapest ones, they are the same tommy Bahamas ones I have at home with backpack straps for easy carrying. This will be our top choice for condos when we go back. Oh, dolphins swam pretty close to shore a few mornings, it was amazing. Very glad you had a good stay...thanks for leaving a review! !